Clients trust Brooke Martin to provide valuable advice and ensure their business goals are fully met. An associate in the Business and Financial Services Department, Brooke assists clients across the full spectrum of the business life cycle, whether they are in need of startup, growth or disposition legal services. She focuses her practice on mergers and acquisitions, venture capital transactions, compliance issues and corporate governance for established organizations. Startups and emerging growth companies turn to her for guidance with entity formations and conversions, financing rounds, securities compliance and other transactional matters. Clients remark on the individual attention Brooke provides. By fully listening and considering her clients’ concerns and business objectives, Brooke is able to present viable options and recommendations. 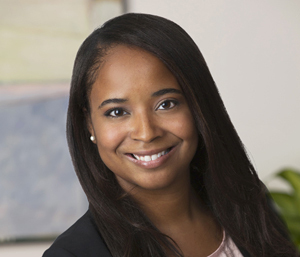 With a family background in business ownership, acquisitions and divestitures, she understands the stakes that can be at risk in a corporate transaction and brings a personal passion to the intersection of business and the law. While a law student, Brooke served as a legal intern for the Consumer Technology Association, where she gained an in-house legal perspective. In that role, she regularly assisted with contract drafting and management, FEC and lobbying reporting, trademark protection and other legal compliance matters.